Below is a compilation of the most frequently asked questions just in case you need quick answers? I want to book an appointment, how do I do it? First, you can give us a call or email. You will then be introduced to a designer who will discuss your requirements and needs and thereafter schedule an appointment during which your kitchen layout will be accessed. What’s next after the designer has assessed my kitchen? After assessing your home and taking note of your requirements, our team of experts will utilize the most recent CAD software to come up with stunning visuals of a kitchen that matches up to your dream kitchen. A date and time will then scheduled during which we will present the visuals to you. If you are impressed and ready to take up the design, we will sign an agreement and you will only be required to pay a 25% deposit. Thereafter, we shall schedule another appointment during which our surveyor will pay a visit to your home and see to it that the installation is done to perfection. Installation is part of the services you should expect from Fitted Kitchen Designs. We have a team of competent fitters who will see to it that all the fitting in your kitchen is done to the highest standard and that all furniture and other equipment are in proper working order. Thorough cleaning will be done thereafter so that your kitchen will be ready to use. How long does the Installation last? Well, there’s no exact timeline. Rather it all depends on different factors such as the size of your kitchen, the number of units to be installed and so on. All in all, our aim is to always to finish the work as fast as we can and more importantly ensure it’s done to your satisfaction. 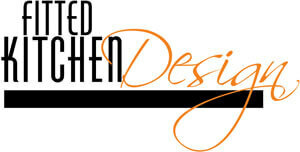 Yes, we provide a 5-year guarantee on the kitchen furniture starting right from the purchasing date. Do you install soft-closing hinges plus runners on all doors as well as drawers? Yes, expect all our doors as well drawers to have the soft-closing feature. What is the thickness of your kitchen Carcases? Are free standing and integrated appliances part of your service? Yes, we actually offer an assortment of both and it’s up to you to choose whichever suits you best. Is granite difficult to maintain? Every worksurface demands proper care in order to avoid damage and prevent excessive wear. Should there arise any dull patches, always use appropriate polishing cream to restore it. Under normal circumstances, you can use water mixed with mild detergent or soap to clean the stone surfaces. When rinsing them off, use a clean and soft piece of cloth. Also, be sure to use trivets and pen stands to give the surface protection against excessive heat. Don't abrasive cleaning products and materials and avoid cutting items directly or next to the worksurface.